UTI offers vibratory feeding solutions. These systems are self-contained and incorporate vibration to drive and manipulate parts for your applications. UTI offers non-vibrating, centrifugal feeding solutions. 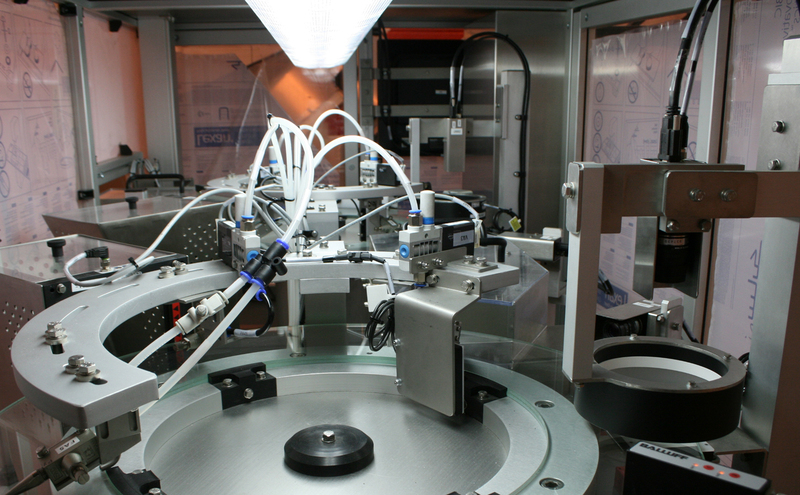 These systems are self contained and incorporate rotating drive discs to direct and orient parts to the discharge. UTI has multiple options for feeder and table bases, each one custom designed to suit your needs. This mechanicsm transfers parts from the hopper to the feeder. Elevator hoppers are beneficial, because the hopper remains at floor level for ease of filling by the operator. This system tansfers parts from a storage hopper to the feeder. Bulk supply hopper are an integral part of the feed system, by maintaining feeder part levels for maximum efficiency. UTI offers multiple solutions to track parts from one process to the next. 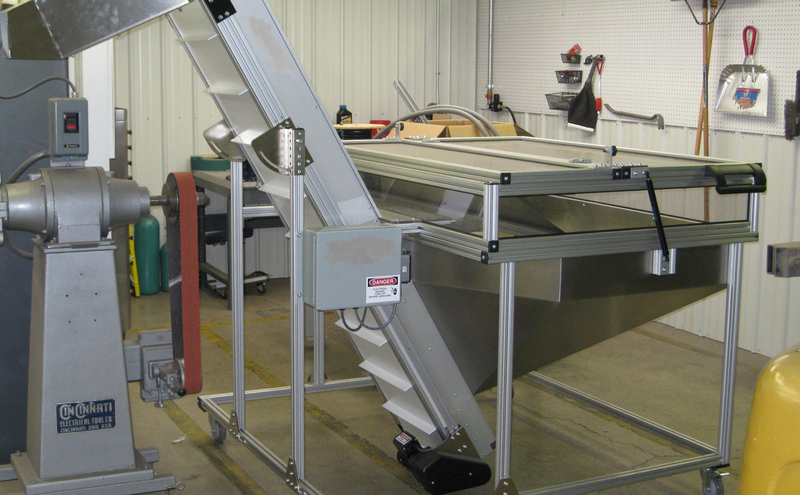 Inline vibratory, gravity, and conveyor systems are a few of the options available. If requested, UTI is capable of designing and crafting custom sound enclosures to meet the requirements of your work space. UTI custom designs escapements and mechanisms that allow us to position and/or orientate parts that have normally unusual feeding features. 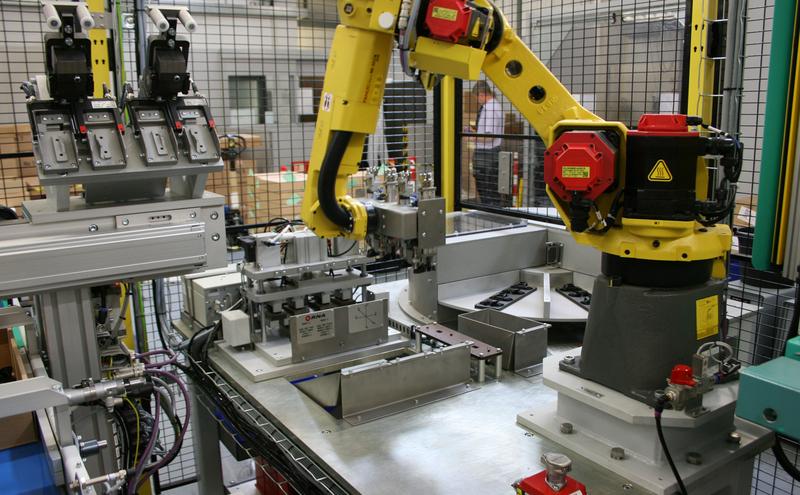 UTI engineers, designs, and builds all electrical and pneumatic solutions to meet your equipment requirements.